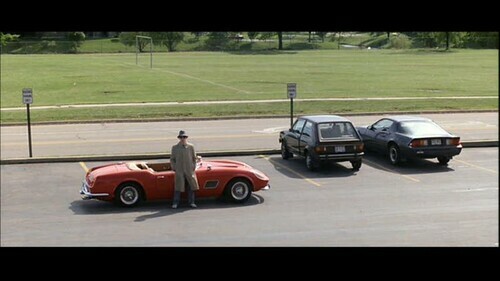 In this scene, Ferris Bueller’s (Matthew Broderick) girlfriend Sloan (Mia Sara) is escorted outside by Principal Ed Rooney (Jeffrey Jones) to wait for her “father” to pick her up from school after the death of her grandmother. 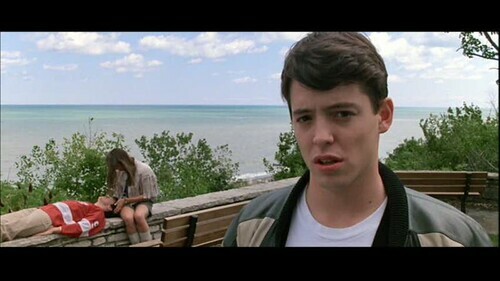 Of course, it’s a scheme to get her out of school to meet Ferris and his best friend Cameron (Alan Ruck) for a day off! 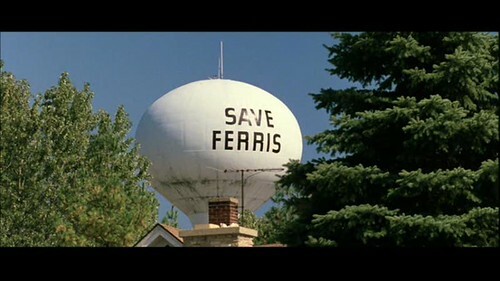 Word around town spreads quickly of Ferris’ major “illness”, prompting the painting of this water tower to help the community rally around this sick youth. 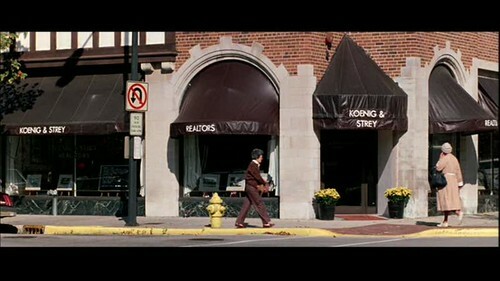 Ferris’ mother Katie’s real estate office, which is actually a real estate office (the same as shown in the film). After taking the 1961 Ferrari GT California owned by Cameron’s father, and seeing the mileage that the parking lot attendants added to it, Cameron goes into a catatonic state. 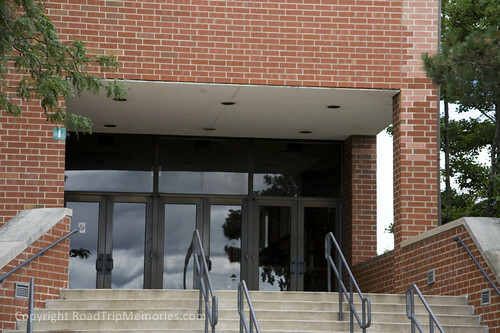 This entry was posted by Jennifer on September 30, 2011 at 11:54 am, and is filed under Filming Locations. Follow any responses to this post through RSS 2.0.You can leave a response or trackback from your own site. Fun…thanks for bringing back the Bueller memories. 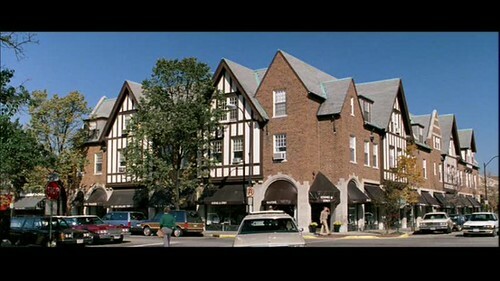 Thank you for the Northbrook mention! I lived a block from that water tower for a while! Did you find that it took a lot of research to track down all these locations, or was it easier than expected? Really cool post! Hi Matt, it all depends upon the movie and how obscure the locations are (or if the movie is more obscure and there’s no information). My husband and I try to find information that’s readily available on the Internet first. If there isn’t anything, we next go to the movie credits (or to IMBD) and generally find out what towns or cities movies where filmed. Next, we’ll use Google Street view and satellite view or look for images from the town on Flickr or other photo sites. We’ll watch parts of the movies over and over for details like geographical features, water, railroad tracks, buildings, businesses, street/highway signs, etc. Once we determine the location, I put them all as waypoints into my DeLorme map program, transfer them to the GPS, and we’re ready to hit the road and start photographing! It’s loads o’ fun! Yes, in many cases, it takes a lot of research. It depends upon the movie, the locations, the resources on the Internet. Sometimes I can find them easily if they’re already found by someone else, but most often we watch the movie over and over again, checking the general credits for locations and then searching Google maps, satellite images, and best of all, Street View. We have lots of fun with it!